A visit to Kerala in the rains should be there on every traveller’s bucket list. Monsoon casts a spell, with every leaf turning a shade greener, making it the best time to experience the Ayurvedic treatments down South. “Ayurveda is a 5000 year-old-method of holistic healing that considers the mind, body, senses, and soul. 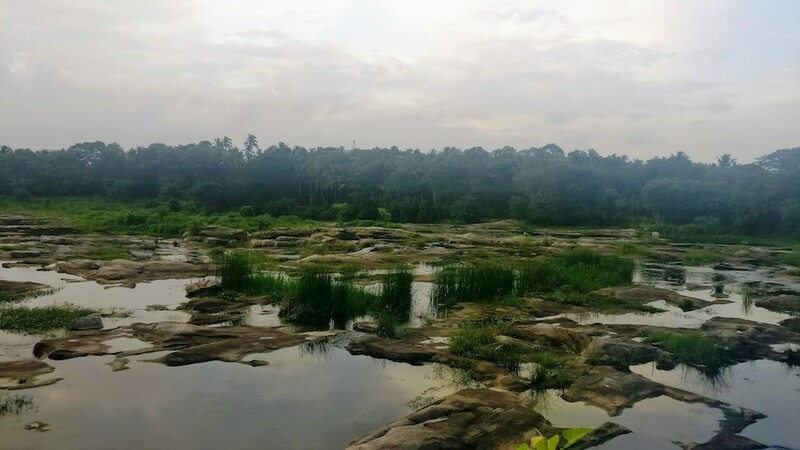 The dust-free environment, humid but cool climate enhances the efficacy of all the therapies, especially Panchkarma, the traditional detox,” states Abhilash Kalathil Ramesh, Director at the Kairali Ayurvedic Group. 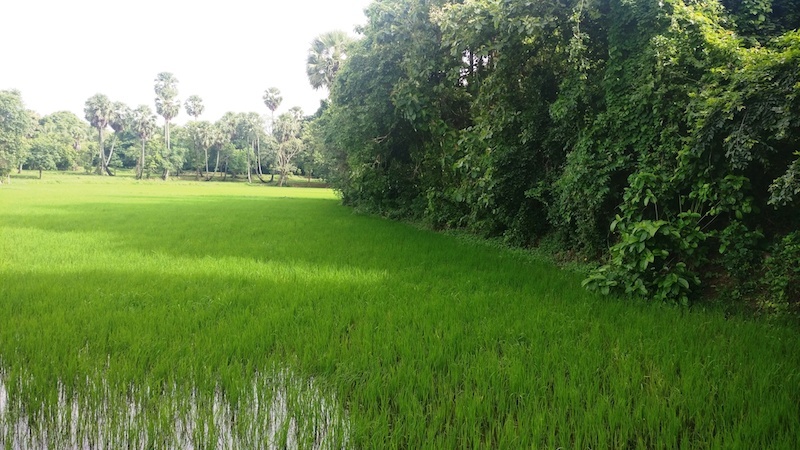 The Kairali healing village is a sprawling wellness retreat nestled in the Palakkad district. A seemingly lacklustre and daunting task of serious detoxification gets a luxury upgrade in this green sanctuary. Waking up to the chirping of birds, chasing butterflies, manoeuvring your way through flower beds and discovering the surrounding organic farms soothe your soul as much as the therapies work their magic on your body. 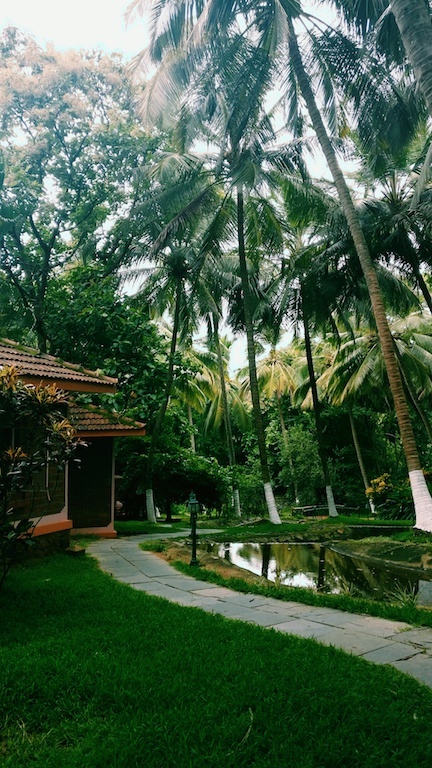 Each villa at the Kairali Healing Village is uniquely designed based on principles of Vastu Shastra. Light and air stream in generously in each room; and the winding streams makes for soothing music. 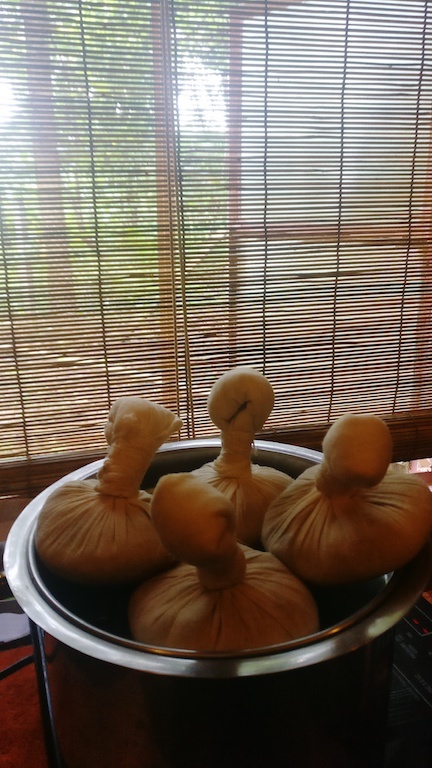 Herbal poultices (bundles) are prepared with various herbs and powders, warmed in medicated oils and the whole body is massaged with this concoction to relieve pain and stimulate nerve endings. 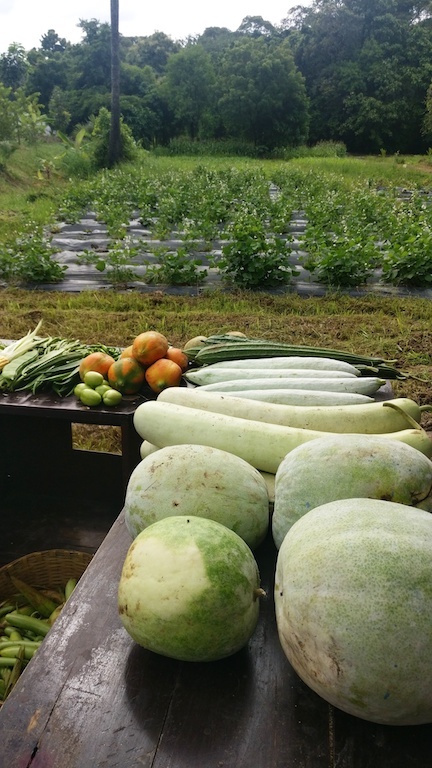 A vastly sustainable project Kairali Healing Village follows the farm-to-table philosophy, sourcing most of their ingredients from organic fields. Acres of organic farmland surround the sprawling ayurvedic retreat, perfectly blending with coconut, teak and mango trees. 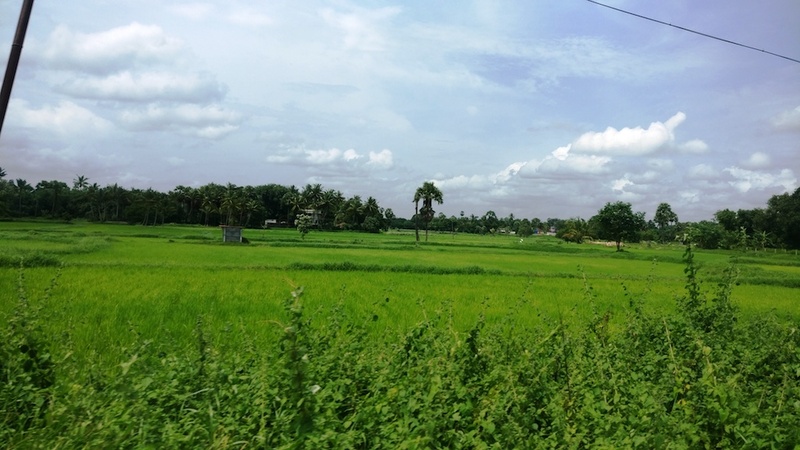 Vast stretches of endless paddy greens, with blue-grey skies, is a sight for sore city eyes. God’s own country comes alive in the rains; each frame picture-perfect. 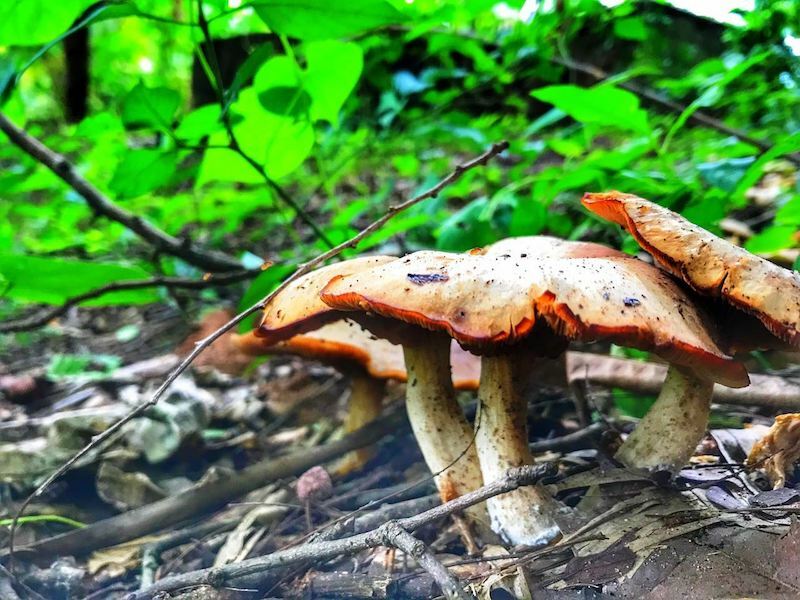 On a wild mushroom chase. 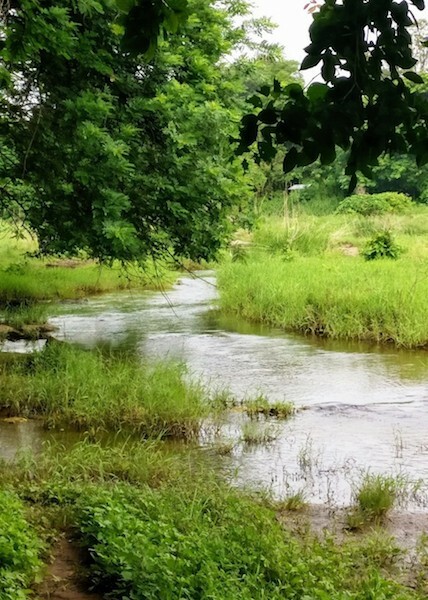 The village is within a short distance of the Western Ghats and offers access to gorgeous lakes and waterfalls.